"View of the Genesee River near Portage NY"
This view was taken from the towpath of the Genesee Valley Canal looking toward the Middle Falls. 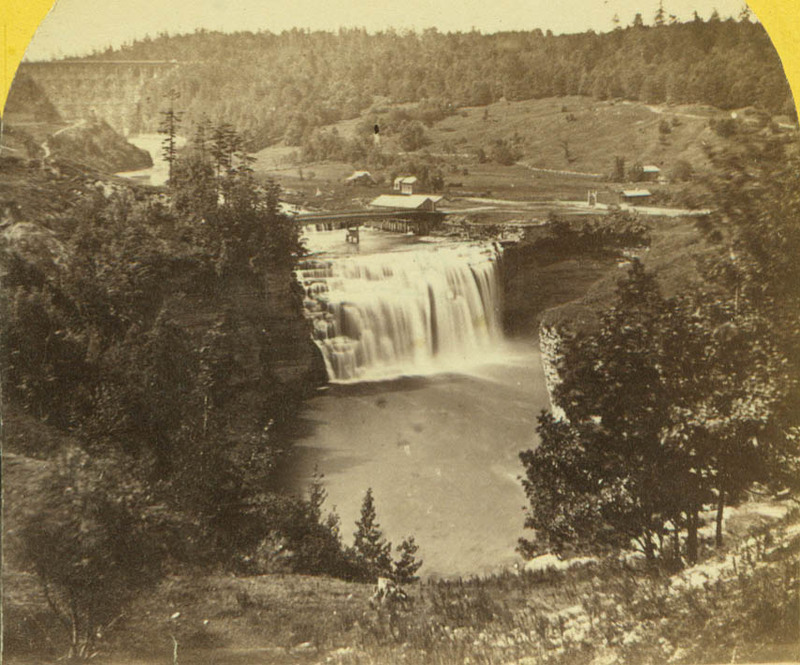 The Upper Falls and Portage Wooden Bridge are visible in the upper left. Note the lattice bridge above the Middle Falls and the buildings on the flats nearby. A close up of the bridge and buildings can be found below. The major mill building has already burned, placing the image around 1860, soon after Mr. Letchworth purchased the land. See Image 175 for the same view about forty years later. Two detailed views of this scene are found below. We have also included the back of this stereoview because of the interesting back labels. Click here to view. Above: Enlarged view of the Love stereo. Below: A similar view, but from a slightly different angle providing an interesting look at the attempts to reinforce the bank in what is now called the "Slide Area". The Genesee Valley Canal can be seen running toward the Portage Bridge in the misty distance. 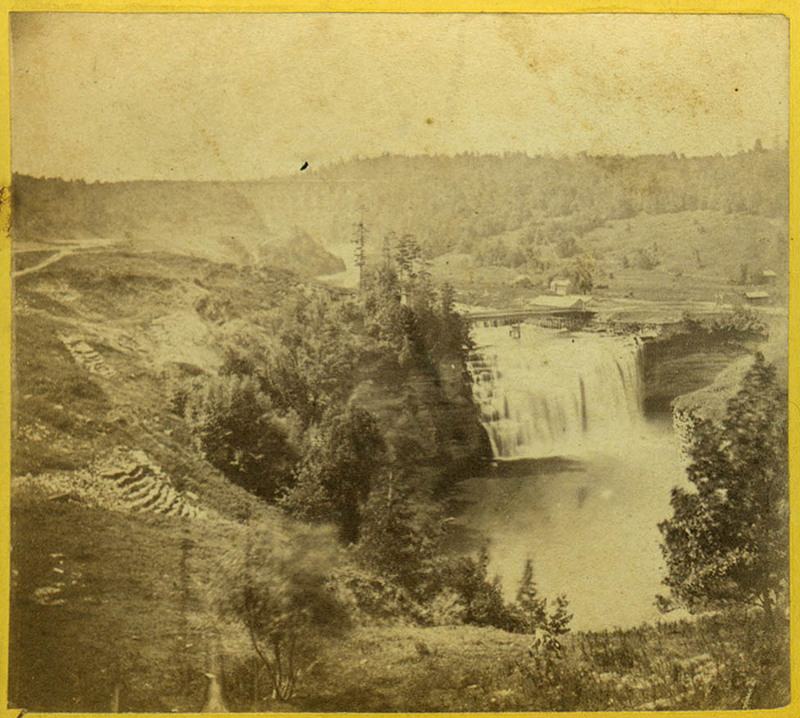 Incidentally, the handwritten label on this stereoview states "#129 View on the Genesse River near Portage City Wis."
The back of the Love stereoview.